The Isabella Fortuna is an example of a traditional Fifie fishing vessel and was built by James Weir of Arbroath and launched on 15th September 1890. With an overall length of 45', 13' 9" inches beam and a draught of 6" the vessel was intended for line and drift-net fishing. She was originally powered by two big lug sails, a jib and five oars. For eighty-six years, generations of the same Smith family fished with the Isabella, from Arbroath. In 1919 a 15hp Kelvin engine was fitted, but by 1928 greater power was needed for the seine-net fishing and a Kelvin K2 44hp engine was installed. This, in turn, was upgraded in 1932 when a Kelvin K3 66hp engine was fitted. This engine continues to power the boat today. Also in 1932 the name was changed to Fortuna. When the Smith family retired from the sea in 1976, Hobson Rankin, an enthusiastic restorer, bought the vessel and began a four year restoration project. In 1980 the Fortuna became the Isabella Fortuna incorporating once more the original name. The Wick Society bought the Isabella Fortuna from Hobson Rankin and Michael May, in 1997, for £6000. Mr Rankin kindly donated his share of the vessel to the Wick Society, to assist in using the vessel to promote Wick's rich fishing industry heritage. Since then, enthusiastic volunteers have engaged on a continuous programme of renewal and restoration. Major reconstruction, renewal and overhaul have been necessary to keep the boat seaworthy. The project has bought together people with a wide range of abilities and has provided an opportunity for traditional skills to be practised and passed on to younger generations. In this The Wick Society acknowledges, with gratitude, the countless hours given by volunteers and skilled tradesmen in bringing the vessel to life. We also thank local businesses for the generous donations of money and materials that have made the restoration possible. These materials for the restoration, and the maintenance of equipment and fittings enable the vessel to meet modern safety regulations and standards. 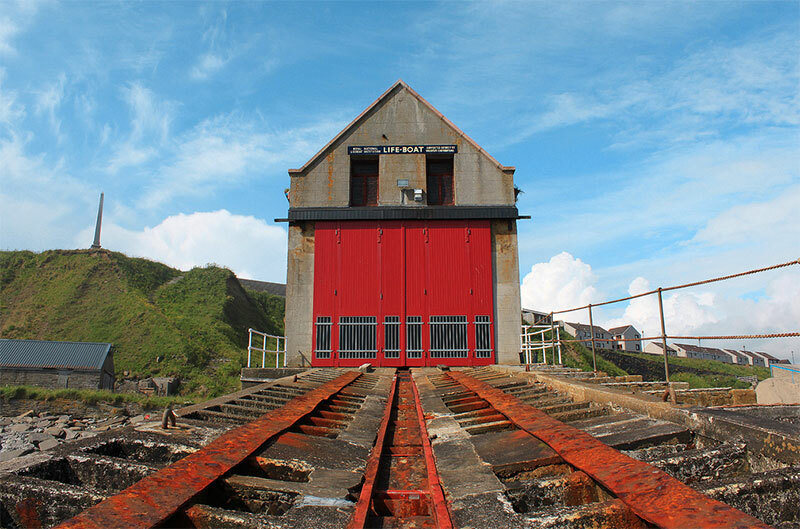 The Isabella Fortuna is normally berthed in Wick Harbour, although during the winter months she is housed in the old Lifeboat Shed on the South shore of Wick Bay. This enables maintenance to continue throughout the year. 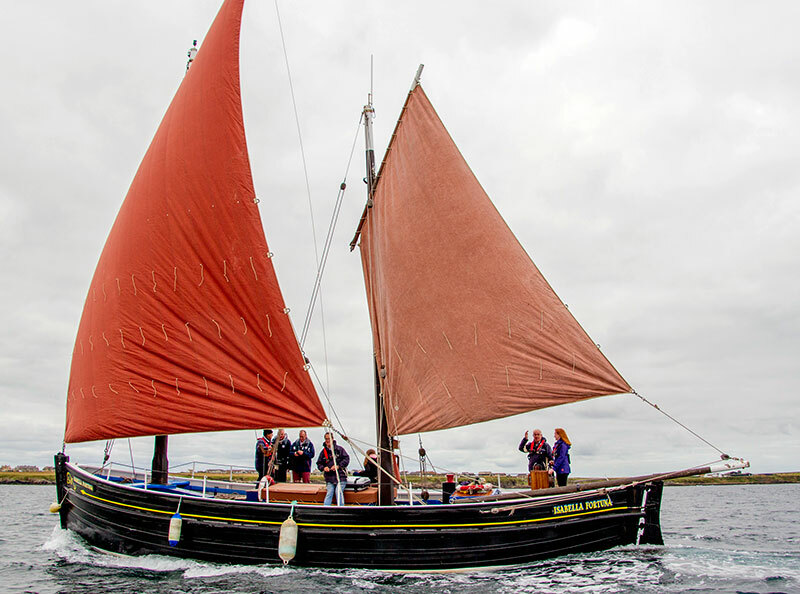 With a voluntary crew the vessel visits other ports during festivals and sea-based events and as such promotes the aims and objectives of The Wick Society. In 2005 the Isabella Fortuna featured on the BBC Songs of Praise programme broadcast from Caithness. An illustrated booklet telling the story of the Isabella Fortuna, and the challenges, mishaps and rewards of the restoration experience can be obtained from museum@wickheritage.org. 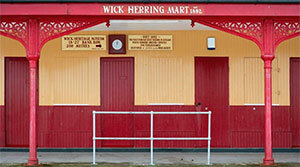 The building was opened in 1892 to give shelter and office space to local fish salesmen. It was the first of its type in the country and is as far as we know, the only one still in existence. 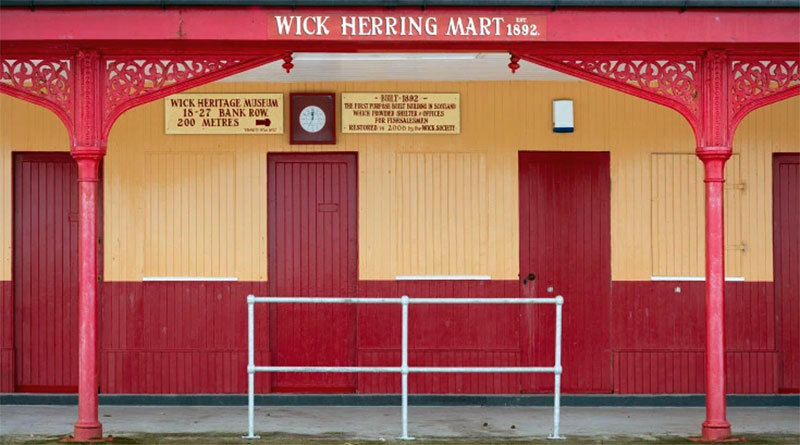 In the herring fishing days samples of the catch were brought from the vessel to the fish salesmen to be auctioned in the veranda area. 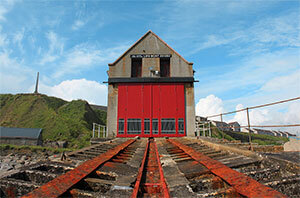 The RNLI Lifeboat Station at Wick was built in 1915 and for many years served as the launch site of the Wick lifeboat. Today its preservation is in the hands of Wick Society's boat section and is also used as the winter home for the Isabella Fortuna giving a sheltered indoor area for the continuing maintenance work.